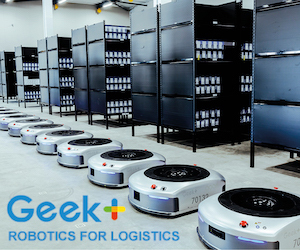 The North America robot sensor market is set to grow from its current market value of more than $680 million to over $1.4 billion by 2024, according to the latest study by Graphical Research. 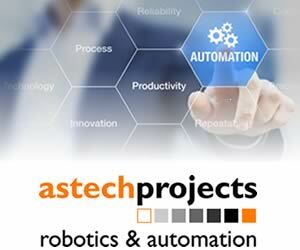 Increasing penetration of technological innovations and the integration of automation across all industry verticals is contributing significantly to the adoption of robots. TDK Corporation is working with Qualcomm Technologies, Inc. through its group company, InvenSense, to contribute a product portfolio of MEMS motion and audio sensor solutions to the new Qualcomm Robotics RB3 Platform. Based on the Qualcomm SDA/SDM845 system-on-chip (SoC), the Qualcomm Robotics RB3 platform is a set of hardware, software and tools designed to help manufacturers and developers create advanced consumer, enterprise and industrial robotics products. The platform will support InvenSense’s 6-axis IMUs (3-axis gyroscope and 3-axis accelerometer), capacitive barometric pressure sensor, and multi-mode digital microphones. Arrow Electronics has enabled Nikko Group, a Hong Kong-based lift services company, to incorporate IoT and sensor technologies in a solution that provides real-time data monitoring for a lift safety protection mechanism. Following a series of fatal lift accidents in Hong Kong in recent years, the Electrical and Mechanical Service Department reported that 80 percent of lifts in Hong Kong have not adopted the recommended enhancement solutions set out in the government’s “Guidelines for Modernising Existing Lifts”. This includes the installation of an Unintended Car Movement Protection (UCMP) device, which is a safety device that triggers emergency braking systems to prevent unintended lift car movements which may cause fatal injuries. Aceinna has launched its new INS1000 dual band Real-Time Kinematic Inertial Navigation System with built-in inertial sensors for construction, agriculture and automotive applications. The INS1000 embeds Aceinna’s 9 degree-of-freedom inertial sensor technology to achieve Automotive Dead Reckoning performance in GNSS challenged environments like urban canyons, heavily tree-lined roads, tunnels, underpasses, bridges, and so on.